Light Yagami is a brilliant 17-year-old student, one of the top scorers on his exams in all of Japan. 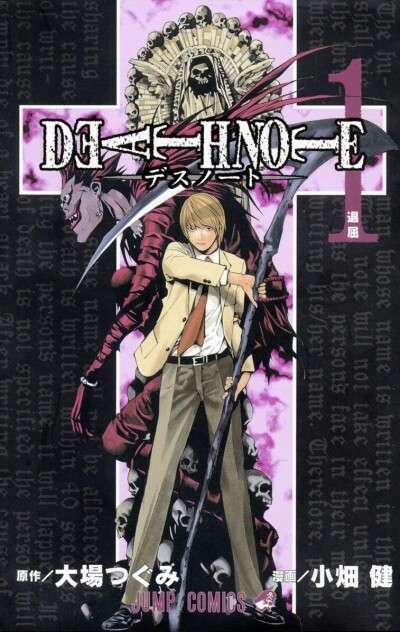 One day as he leaves school, he finds a mysterious black notebook on the ground with "Death Note" written on it. The first thing written inside: "The human whose name is written in the notebook shall die." Light decides to use this to cleanse the world of evil by killing all the criminals. On the scene comes L, ace detective, who's determined to find Light—who the world now calls "Kira"—and track him down, thus bringing us an epic psychological thrill ride.